I had an inquiry about how difficult GIMP is to learn. My answer was so long, that I thought I should make it available for everyone. The question was asked because my current project is using GIMP* for all my big photo manipulation needs. I usually write up a tutorial for the images that have a really cool wow factor. You can check them out on my tutorial page here. Q: How difficult is GIMP to learn? Do they have a help line or good tutorials? A: Your question is a bit difficult to answer with a short reply. The answer lies somewhere between your current abilities in a photo editor and your willingness to learn something new. For example, if you already know the concepts of masks and layers you are going to have a much easier time than someone who doesn’t. That said, if you don’t know about masks and layers you can learn it in GIMP, and it is a skill that will be worth the effort. Once you understand how layers and masks work, you can do so much more than you could before. Learning masks and layers is not going to be harder or easier in another photo manipulation program, like Photoshop, you just have to deal with the steep learning curve regardless of which program you learn it on first. But the exciting thing is that once you know it, it translates to other programs easily. GIMP also has some global adjustments (that don’t require the knowledge of masks and layers) that are similar to Lightroom and Photoshop, like curves, levels, etc. So a novice can start playing around right out of the box. Selection tools will take a bit of skill, but that is also true with Photoshop. GIMP has a lot of the fun filters you’ll find elsewhere like blur, sharpen, oilify (oil paint), cartoon, etc. (These also don’t require knowledge of masks and layers, but you can do some fun things if you do). Some of the options for GIMP are so fine tuneable that it can be a bit overwhelming, but if you start out with the default and then tweak and play you can achieve some really cool things. If you already know some of the shortcut keys for Photoshop, you might get frustrated because they are not always the same. For example, to get the image to fit within the window it is Ctrl-0 in Photoshop, but Shift-Ctrl-J in GIMP. But you can find out the shortcut keys by hovering your mouse over the tool buttons, or if it is a drop-down menu then it usually has the shortcut keys as part of the menu. There are a few things that you can do in Photoshop that don’t come with GIMP right out of the box, but you can get plug-ins for, like content-aware, high-pass filter, and vivid light blend mode. GIMP.org has a plug-in registry found here . The great thing about the Open Source community is that if the program doesn’t do something out of the box, and enough people want that function, someone will write it. Do be careful when selecting plug-ins, and make sure they are from reputable sources, check gimp.org to see if it is a known bad. The biggest obstacle I have encountered is that GIMP does not read RAW files. It does read several file formats like, .jpg, .png, .psd, .tiff, .gif… (learn more here). You will need a separate program to read RAW files. I’m still exploring this area, since I do have Photoshop I’ve been using Camera Raw, I have been tinkering with UFRaw, RawTherapee, and DarkTable. I have a disk that came with my camera that I haven’t explored yet, that may fulfill my needs. I know that whatever *thing* I wanted to do in GIMP that I didn’t know how to do, I could easily go to Google, type in “*whatever I’m trying to do* in GIMP” and there were many links, the ones I would go to first were the ones that pointed to the GIMP manual itself or the GIMP forum. Speaking of the GIMP manual, it is free online and available here. Grokking the GIMP – free online. 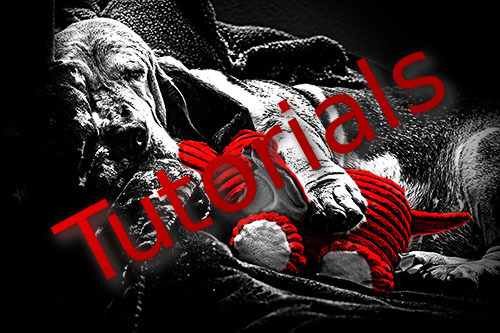 As for tutorials, they are all over the internet, all you have to do is search for something you want to achieve and add the word GIMP and there is probably a tutorial out there. GIMP.org has a page devoted to links, here you can find forums and tutorials. This entry was posted in gimp, operation badass, tutorial and tagged photography, post processing. Bookmark the permalink.